Louisville will soon have another source for comfort food. Porch Kitchen & Bar was originally slated to open at 280 W. Jefferson St. and is now planned to open February 23. According to a press release, Porch Kitchen & Bar is a new, local restaurant with fresh local ingredients focusing on good old-fashioned hospitality. Porch Kitchen & Bar, representing the iconic American Porch, is a social place to pass time with old friends and connect with new ones. 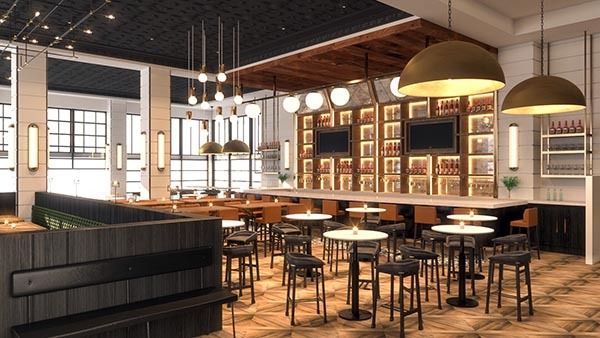 The restaurant will serve comfort food with southern flair with a heavy focus on craft cocktails. They’ll also feature live music and have weekly specials like bourbon flights on Fridays or half-price bottles of wines on Wednesdays.